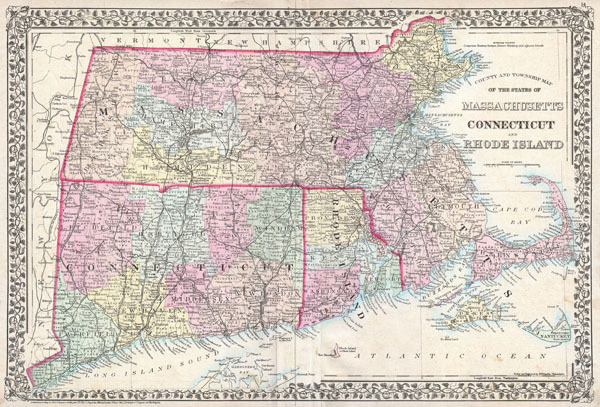 County and Township Map of the States of Massachusetts Connecticut and Rhode Island. Mitchell, S. A., Mitchell's New General Atlas, containing maps of the various countries of the World, plans of cities, etc., (1873 edition). Very good condition. Original centerfold. Light overall toning. Blank on verso.